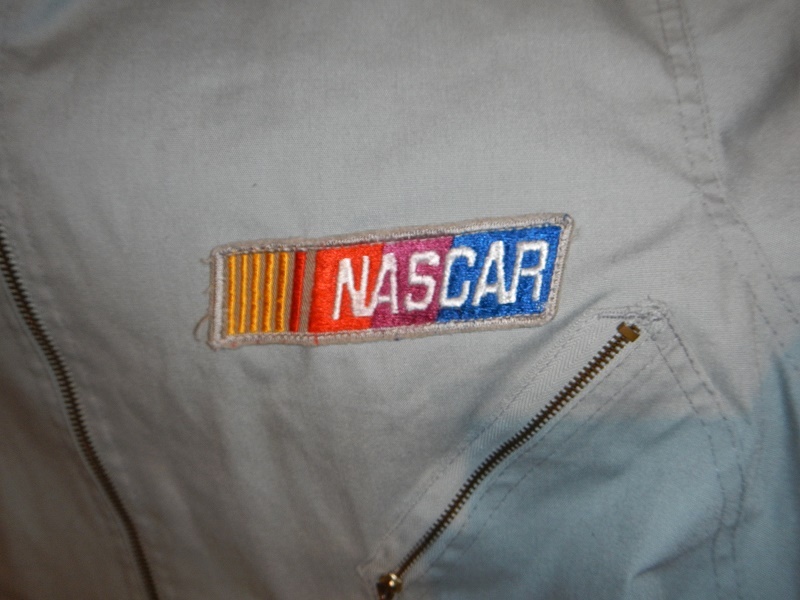 The Driver Suit Blog-Generic NASCAR Mechanic Suits…Wait, What? 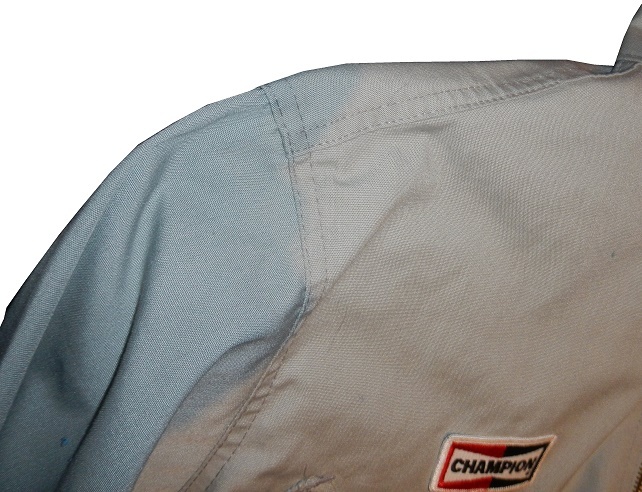 Every racing fan wears their favorite driver’s merchandise. This has been done in sports since the early days. 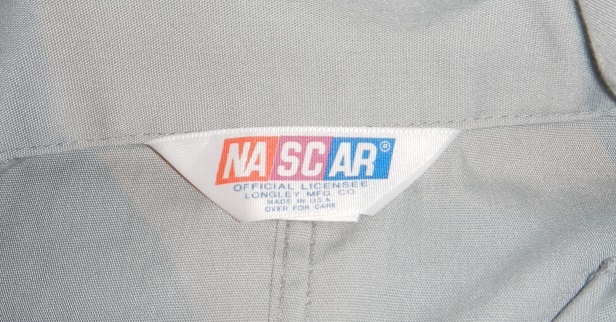 Teams, drivers and leagues all try to crack down on phony merchandise since it costs everybody money, and benefits the wrong people. 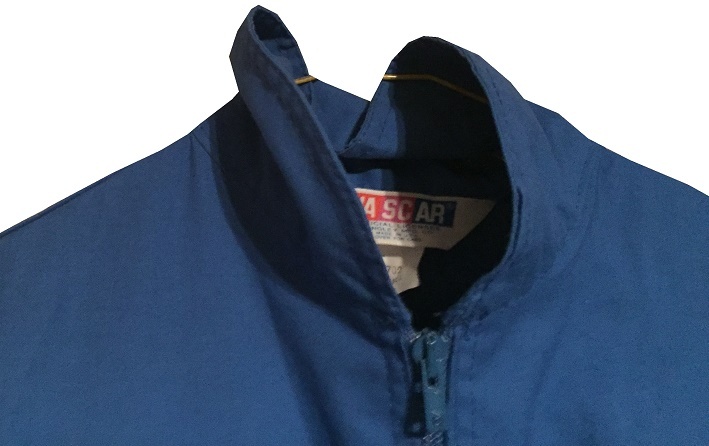 There are ways to tell fake from real merchandise. 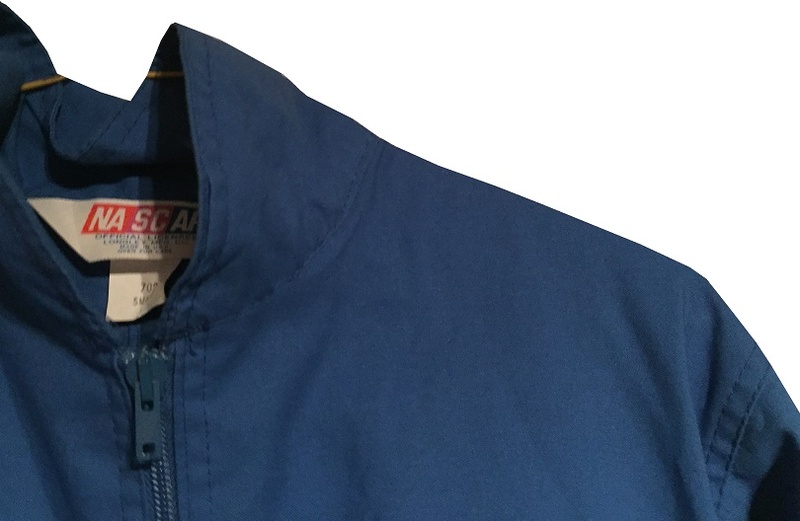 Sometimes, albeit rarely, there are items that are made by the league, with tagging to match. 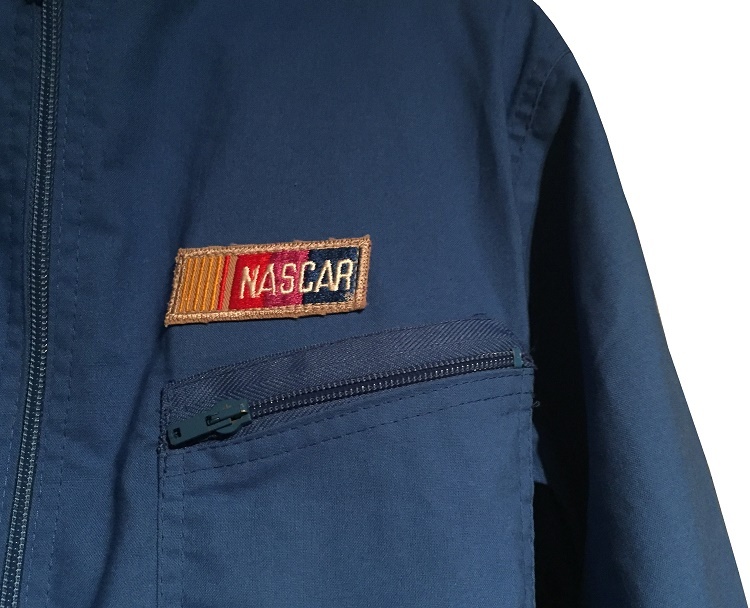 In the 1980’s, NASCAR allowed The Longley MFG Company to make mechanic jumpsuits with official NASCAR branding and tagging. 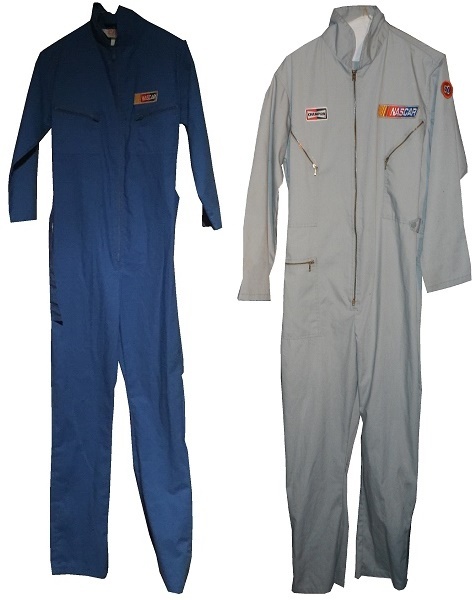 The reasons for making these suits is unclear. However, they were made and still survive to this day. 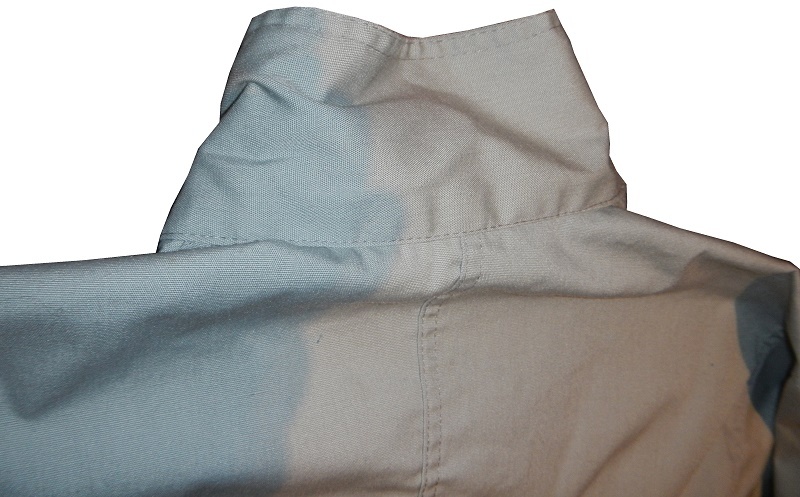 The gray and blue suits show some light wear, but are in otherwise good condition. 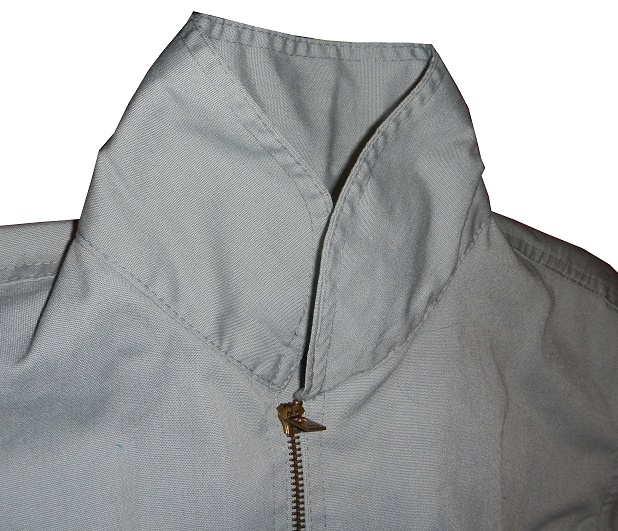 The collars are small and are an open design. 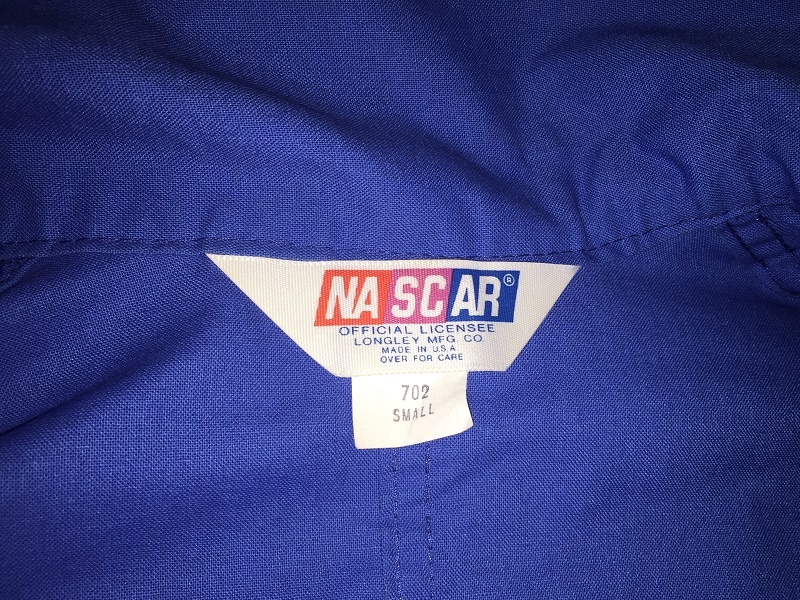 The blue suit tag has an OFFICIAL NASCAR LICENSE indication, and a small flag indicating 702 SMALL. 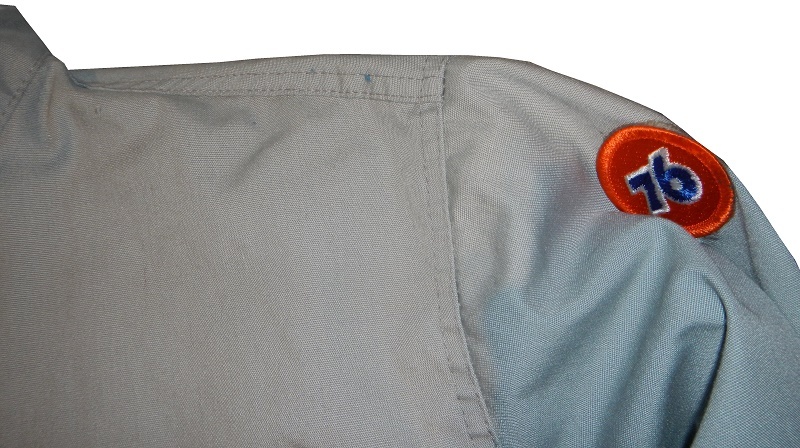 The gray suit has a similar tag setup. 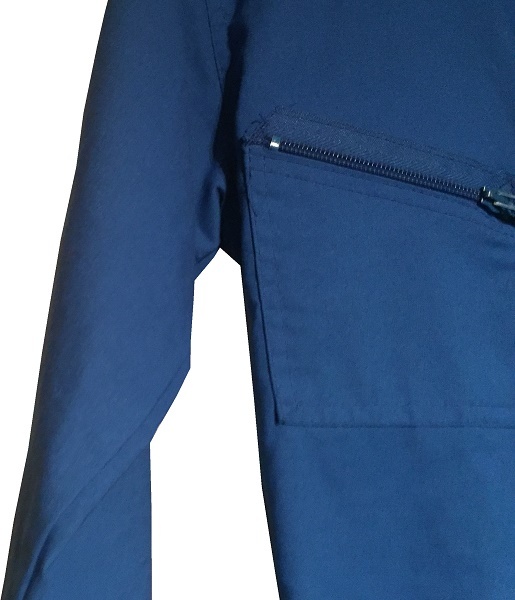 The right chest on the blue suit features a zippered pocket, and is otherwise unadorned. 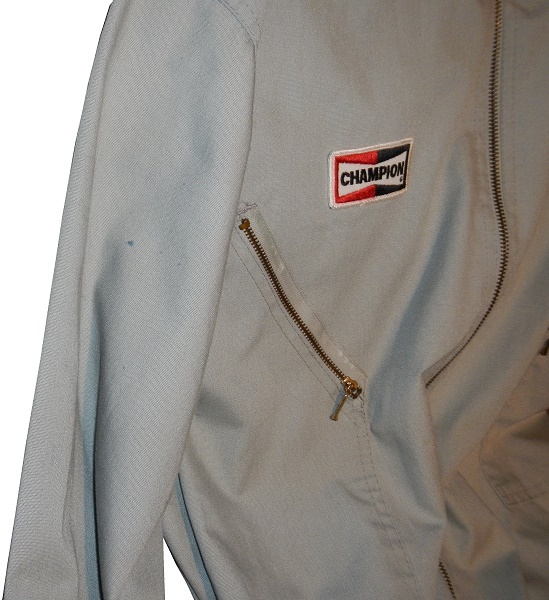 The gray suit features a CHAMPION patch. 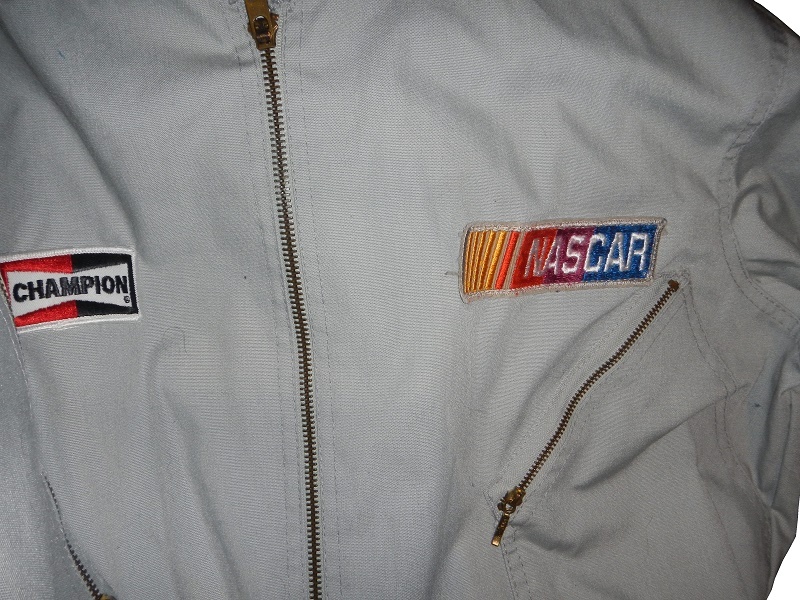 The left chest on both suits feature a vintage NASCAR logo patch. 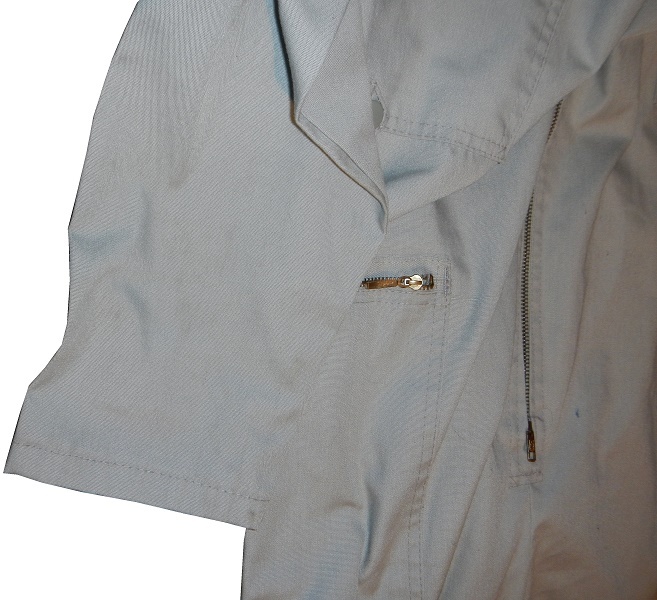 The front torso on the blue suit features a tie belt, and is unadorned. 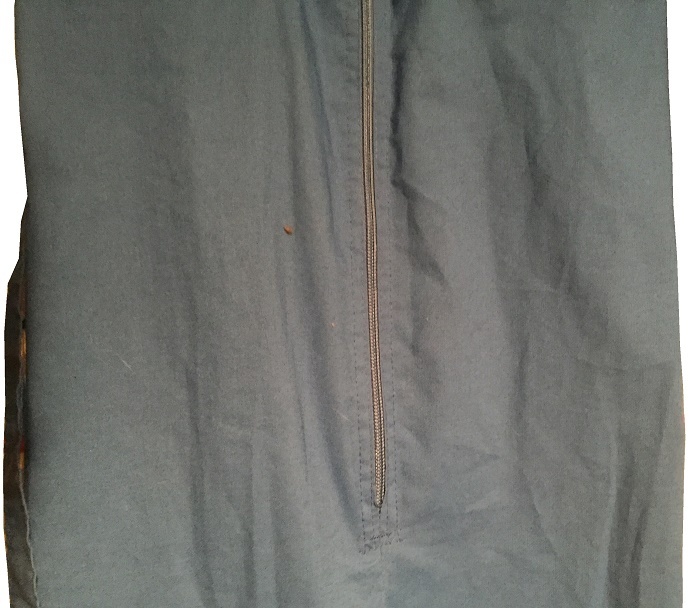 On the gray suit, the belt is a snap belt. 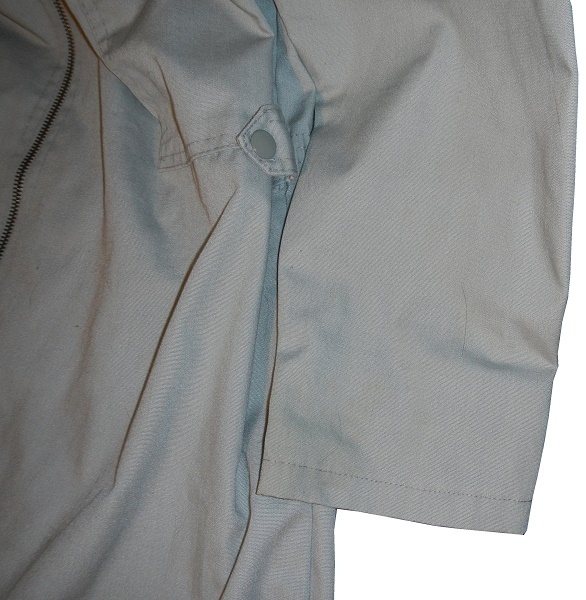 The legs on both suits are unadorned. 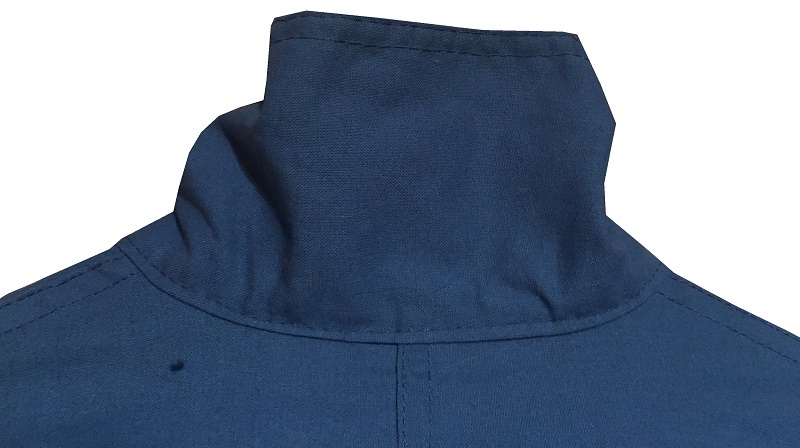 On both suits, the shoulders are unadorned. 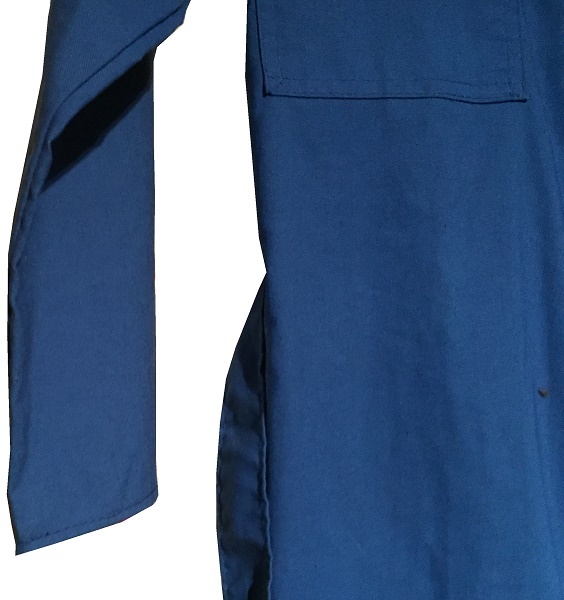 On both suits, the right sleeves are unadorned. 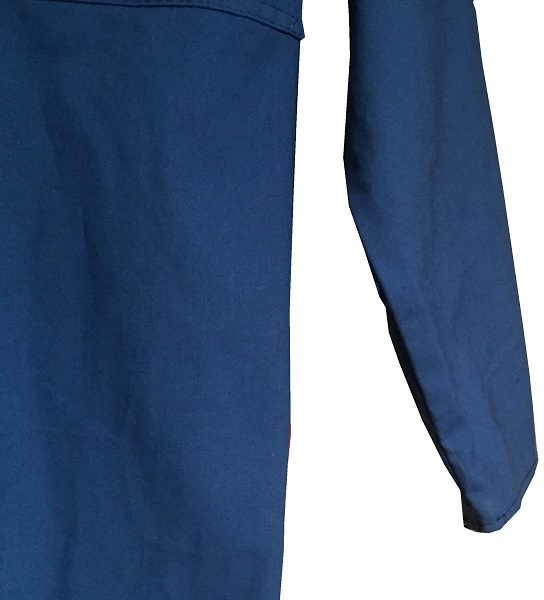 The blue suit, the left sleeve is unadorned. 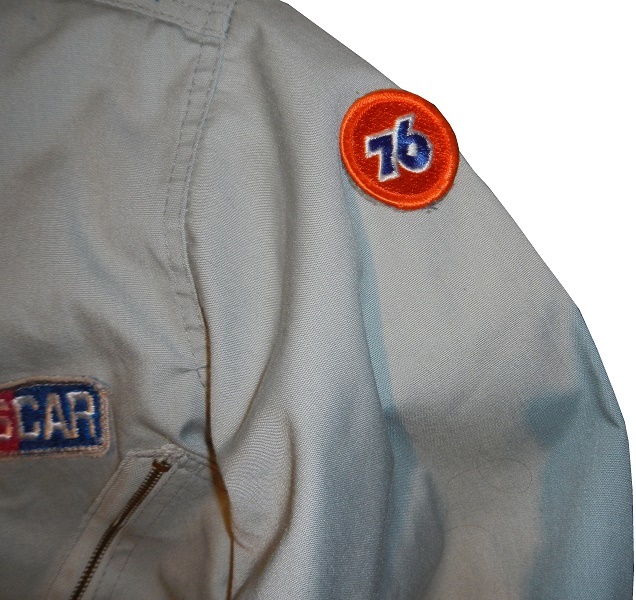 On the gray suit, there is a small Unocal 76 patch on the upper sleeve. 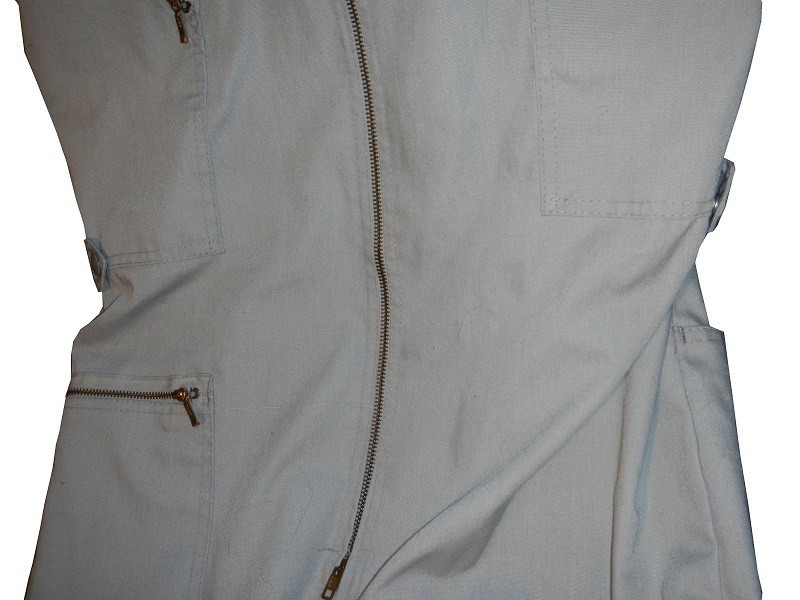 The back of both suits are completely unadorned. 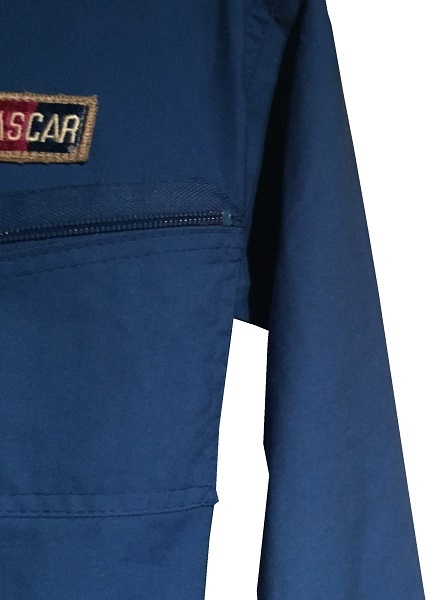 These suits are an interesting piece of merchandise. Why they exist is still a mystery. 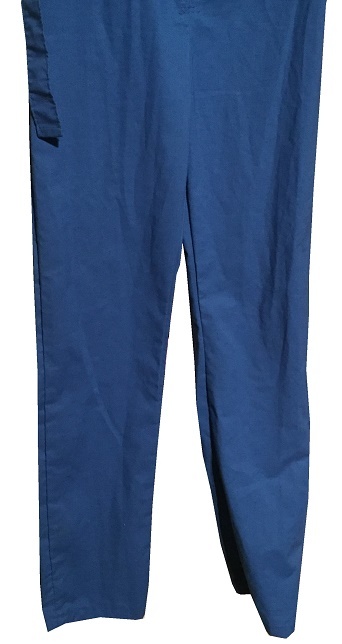 Who bought them, and what did they use them for? Why do they still exist? 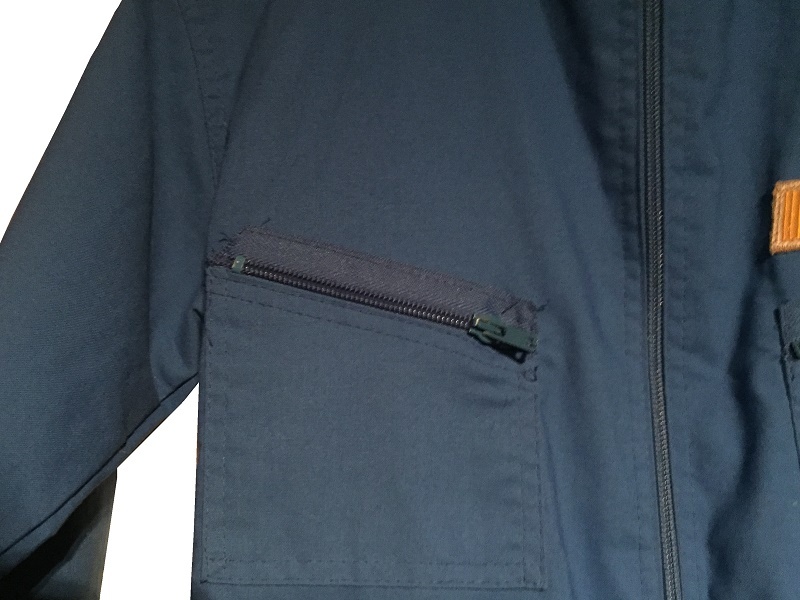 They are pretty well made, and they look nice, but I still can’t understand why they were made. Maybe that answer will never be known. Next week, we go back to a fantasy camp for the first of a two part series.